The Art Museum recently received a gift of artwork to the collection from the DLA Piper Law Firm of Chicago that included three collages by John Fraser, an NIU Alumnus, and also a mixed media lithograph and woodcut by John Himmelfarb. 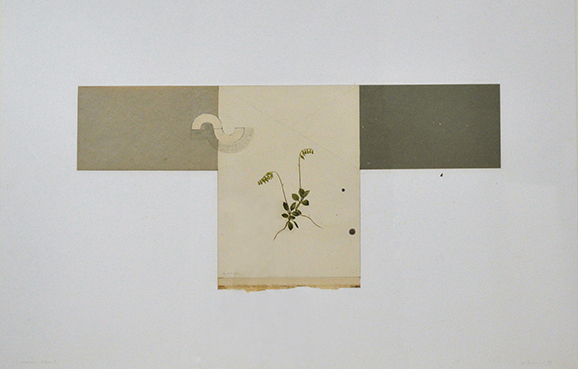 Both artists were featured in the recent New to the Collection: Recent Acquisitions exhibition curated by Peter Olson. Image right: John Fraser. Continuum (Return). 1997. Paper collage. Gift of DLA Piper LLP (US). Generous donor and NIU alumnus Lee Holt (67) from California has donated portions of his art collection of prints, paintings, and drawings to the NIU Art Museum—25 pieces in total. Included in the gift were several pastels on paper by fellow NIU alumnus Thom Kapheim (67). Other works from Holt’s donation of art significantly added to the Art Museum’s large holdings of prints by David Driesbach, a former printmaking professor in the School of Art. The gift also included prints and drawings by artists including: Paul Cezanne, Mauricio Lasansky, Hokusai and Peter Max. 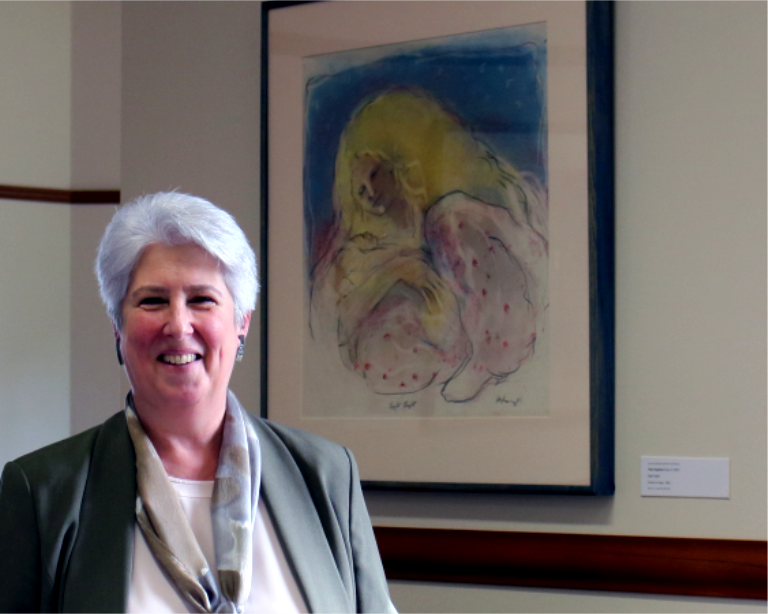 A few selected works from Holt’s gift were recently hung in the vice president of university advancement and CEO of the NIU Foundation Catherine Squires’ office. This installation is made possible through the Art Museum’s Art to Lend, an on-campus artwork rental program for secured areas and offices at the university. More information on the program including our loan policy, fees and restrictions is on our Art to Lend collection page. Image top right: Thom Kapheim. Entangled, n.d. Oil on canvas (48 x 60 in.) NIU Art Museum Collection, Gift of Lee S. Holt Trust. Image bottom right: Vice president of university advancement and CEO of the NIU Foundation Catherine Squires in her office.